I teach Algebra 2 to students who have just completed a year of Geometry. They do some algebra throughout the year, but are still rusty on many skills when their year with me begins. This summer I am assigning an optional review on Delta Math for my students. 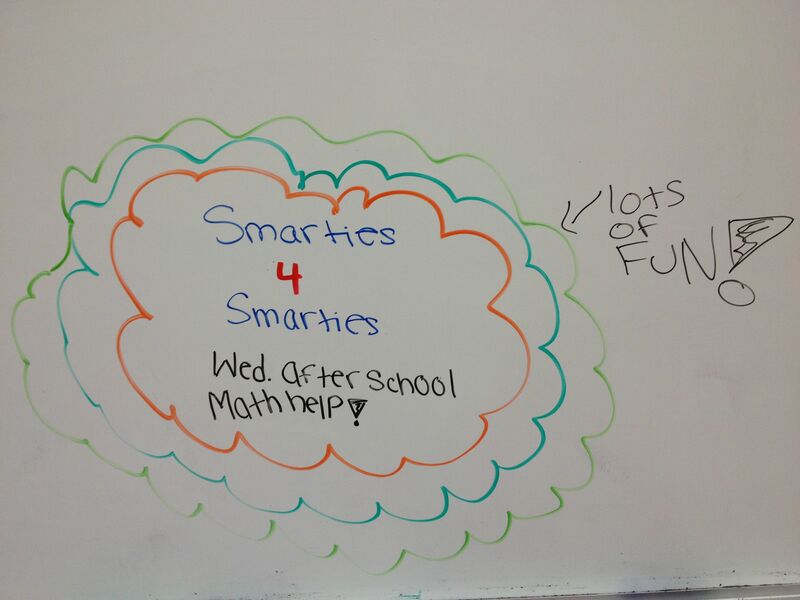 It’s mostly basics with some beginning Algebra 1 topics. I included rounding, basic percents, fraction operations, order of operations, exponents, slope and linear equations, and basic factoring. I will give my students a pre-assessment in the first week of school so they will know exactly what concepts they still need to work on. I plan on reteaching the concepts that the majority of the students struggle with. However, I’m not quite sure of the best way to help students that need more support than this. 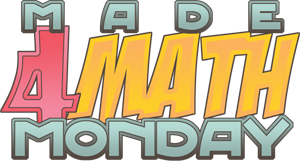 I will leave the Delta Math set live so students can continue to practice those topics. I plan on holding algebra one review sessions during student choice times for students that need, or want, extra support. But I would like to make sure it is enough, enough time and enough support. I want to support students who need review, but I am afraid of spending too much class time reviewing basics. I don’t want students who do not need the review to be bored in my class. Mattie suggested that I spend some time putting students together that can help each other, and letting them work with each other. I do like this idea, as it will be more individualized help for students (instead of just me trying to help many students on many different concepts). Also, often students understand other students better than the teacher. 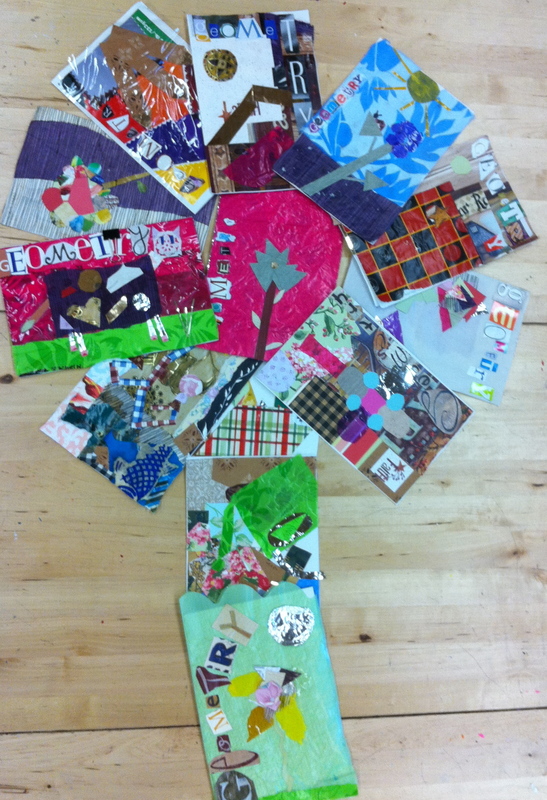 I could do this in class occasionally or make it during student choice times. If students volunteered to help others during choice times they could even earn service hours. But, I haven’t even thought about how to structure this. I would love ideas. How do you support students that need extra help with basic skills during an already hectic school day/year? After students complete an assessment in my class, they chose either a green, yellow, or red sticker to put on the front of their paper. The green sticker indicates that they felt they did well on the assessment. The yellow sticker indicates that they felt ok. And, I refer to the red sticker as “SOS! I need help”. Red = SOS, I need help. 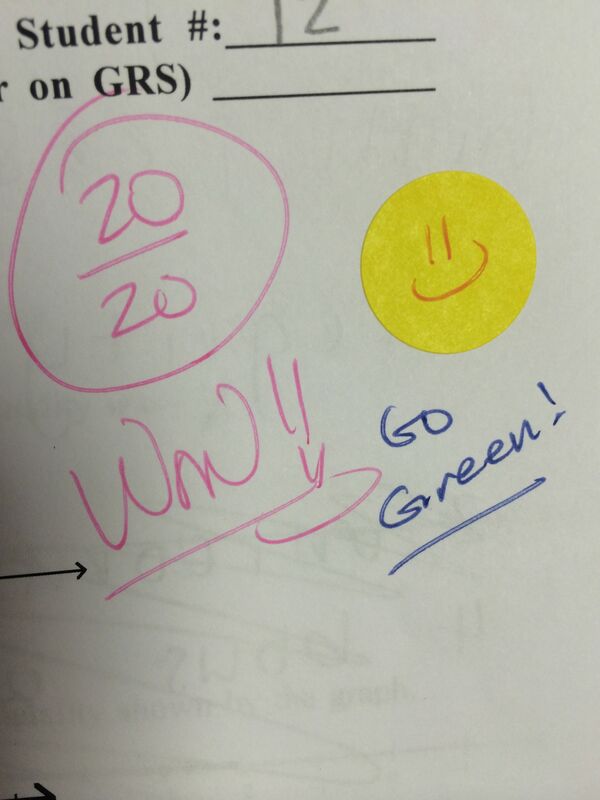 When I grade the papers, I comment if a student chose a sticker that did not match their score. 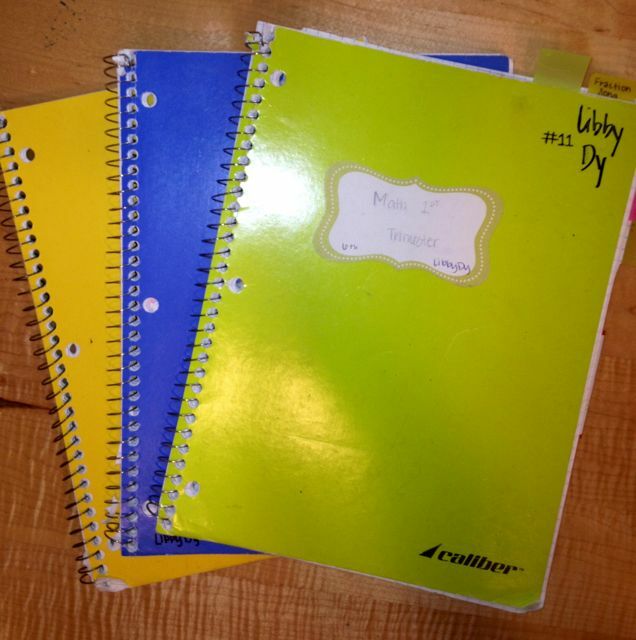 For instance, if a student put a yellow sticker on their paper, but did very well, I usually write, “Go Green!”. They love this. I teach 6th and 7th graders. 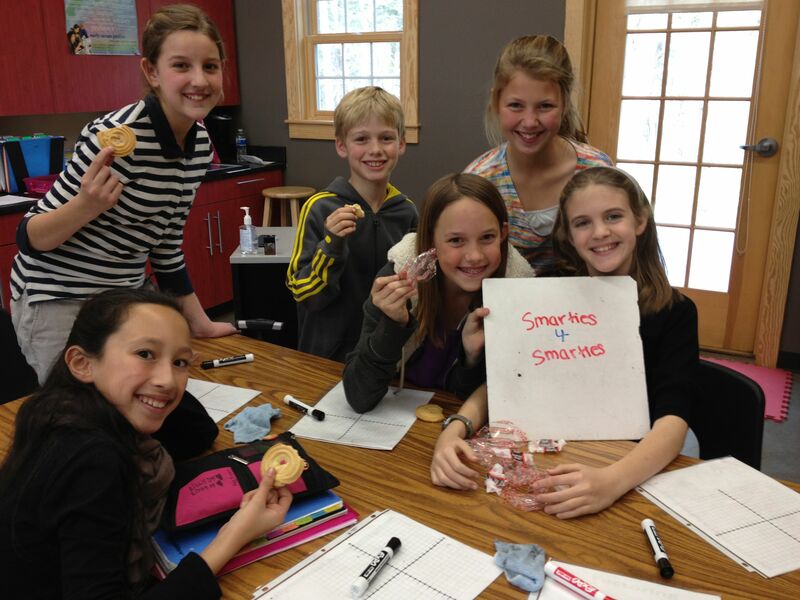 For most of them, 6th grade is the first time they have ever had to study for any test, much less a math test! 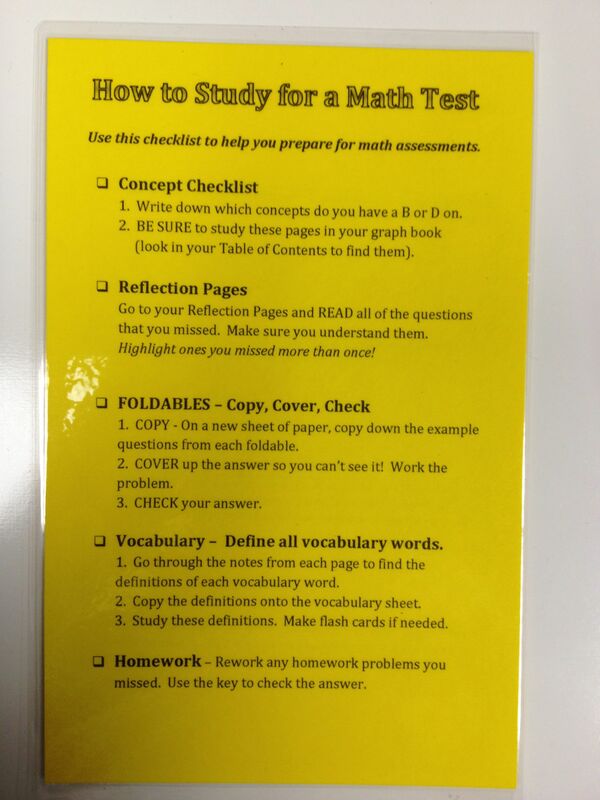 To help them along, I created two things for my students, a “How to Study for a Math Test” checklist and a “Math Test Study Guide” foldable. Laminate the checklist and then have them create a pocket in their graph notebook to keep it in (so they hopefully don’t lose it). 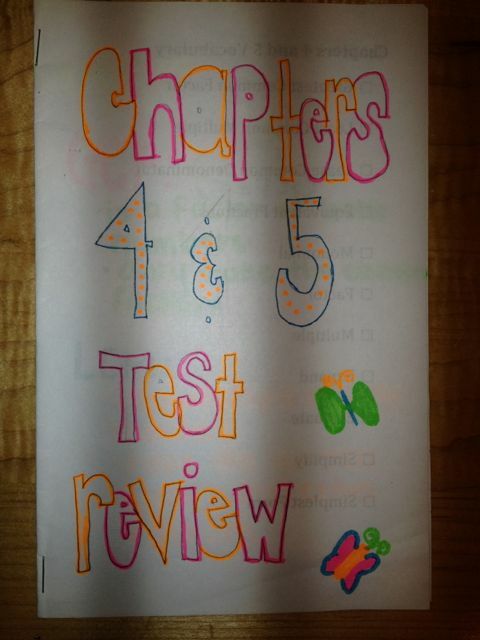 Assign the study guide for homework a couple of days before the test (it becomes a foldable). 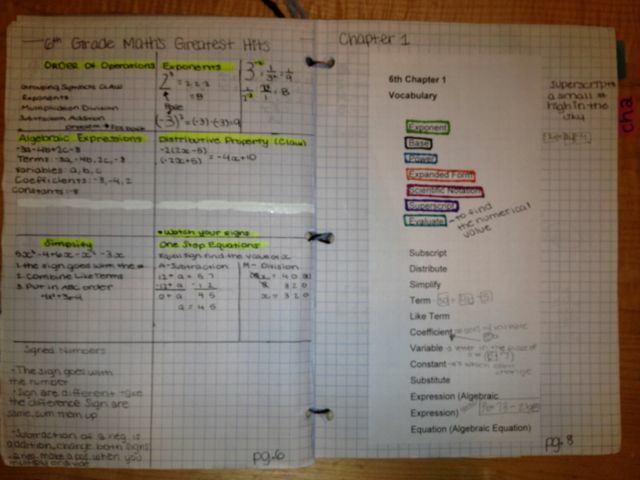 Foldable – Have them fold the study guide and glue it into their notebook once they are completely finished filling it out. They can decorate the cover if they like. 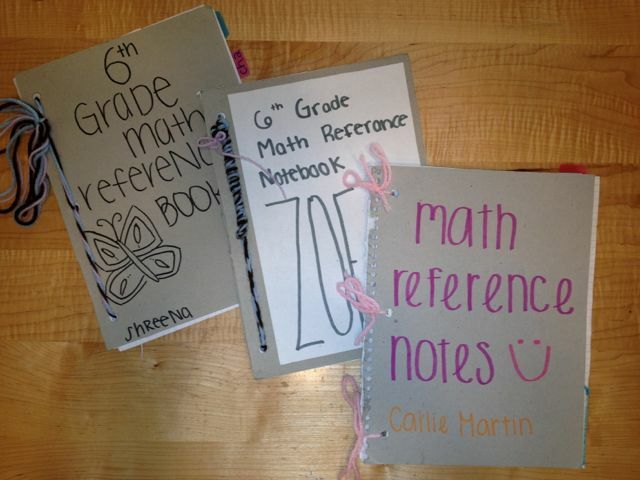 Have in class and work time math help where we use their completed study guides. This helps me help them! For future tests I only have to print out the study guide. This year I have a plethora of students missing the two days before our spring break week. This is so difficult for teachers as we do not want to waste two instructional days because a third of your students started their vacay early. 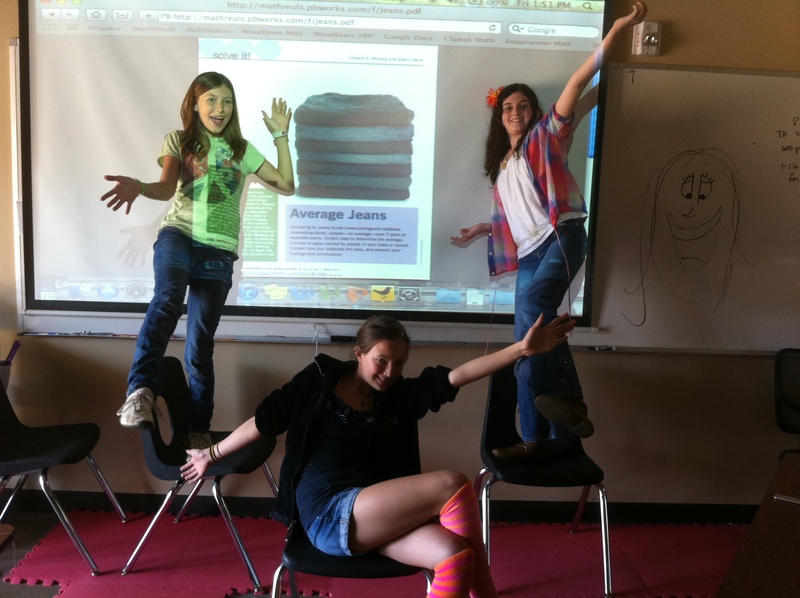 I was especially distressed this year because I wanted to jump into our geometry unit. 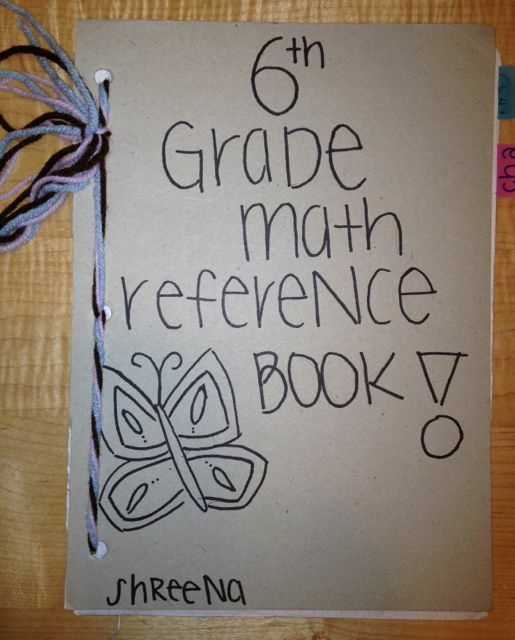 Last year my students made Geometry Booklets. However, since it was my first year teaching 6th grade, I found that the students knew more about geometry that I had previously thought. I do not want to skip the first geometry chapter in our textbook in case some students did not learn it as throughly as most (or have forgotten it). But, I realized last year that I did not need to spend as much time on beginning geometry as I did. 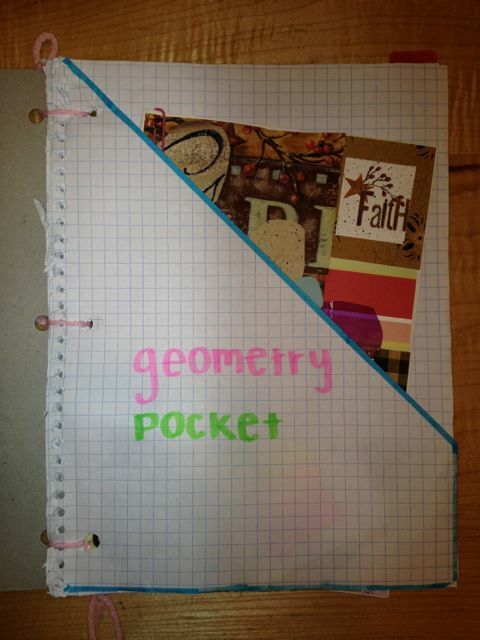 This year, we are still doing the Geometry Booklets. But this year I am not having them look up and write the definitions for all of the terms in their geometry chapters. Instead I typed up all of the terms with definitions. I will print these out for the students to make their booklets. Since I still want them to be involved and learn what the definitions are, I am going to have them illustrate each term. They will find where the term in their booklet is located in their math text book and then illustrate the definition. They may use the books illustration or they may make up their own using the book as a guideline. This will make coverage of the basic geometry units go faster this year so that I have time to cover more in depth geometry material. I still plan on having them write up and illustrate definitions, but only for the more advanced topics that come later in their textbook. So, where does the “Ack – Absences!” come in? We made the booklets in class today (Wednesday). So, all of the students that are missing Thursday and Friday can take their colored pencils, textbook, and geometry booklet with them over spring break to finish the illustrating. This way absent students will not fall behind AND present students can continue working productively in class. Win, win! 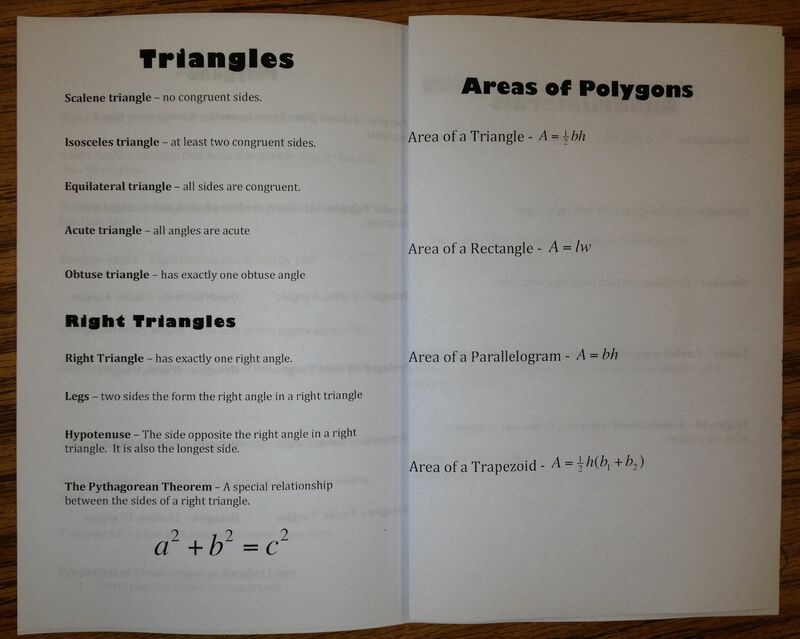 Here are the Geometry Booklets that I typed up in Word and Pdf format (coming soon). There are two errors on the circles page for Area and Circumference or a circle. I will fix them and repost pdf when I return from spring break. If you need it now, print out the word file and correct it. So sorry! Well, most of them loved it. A few did not. I got this nifty idea from my great peeps on Twitter (thanks @pamLpatterson and @park_star). I make them do quiz corrections now, but I noticed they don’t do a very good job. Often, they have a difficult time correcting the problem. I offer Work Time and after school help to work on quiz corrections, but not everyone takes me up on that or they are the students that need help with the new material that we are covering. Enter, Grade Your Own Tests day. I had them take a test like they usually do, but also had them transpose their final answer (with no work show) onto an answer sheet. After I took everything up, I graded just the answer sheet right or wrong with no partial credit. The fun part was when I then handed back ONLY their tests with not a mark on them. They were confused. I explained that I had already graded their answer sheets but I only graded them right or wrong, with no partial credit. They were to grade their own tests in order to earn their partial credit. I gave them each a colored pencil and a copy of the key with all of the solutions worked out and the possible points for each problem. They had to check each step against the steps on the key. For each step they missed, they had to write the correct step in colored pencil. Then, using a few guidelines I created, they had to decide how many points they missed on each question. (My guidelines were -1 for losing a negative or making an arithmetic error, and +1 for writing the correct equation but missing the answer). We worked on it for about 15 minutes in class so I could help guide them and answer questions. They were to finish grading for their homework that night. Once they turned their graded papers back in I re-graded every one to make sure they gave themselves the correct credit (and to compare it with their original answer sheet to make sure they stayed honest). I was very impressed that most of my students did an excellent job of grading their own papers. I only had to correct a few papers. A couple of students turned their papers in with just the answers marked wrong and no corrections. I gave them back and told them they had to earn their partial credit back by showing all of the corrections. This was actually a lot more work for me as I had to grade their answer sheets, then guide them through grading their own papers, then check their grading. But, it seemed like a very valuable exercise. The funny thing was that a few students thought they were saving me work by grading their own paper for me. I surveyed the students and an overwhelming majority liked it and wanted to grade their own papers again. The few that did not enjoy this seemed to be the ones that had a difficult time understanding how to give themselves partial credit or still didn’t understand how to do the problem, even with the key. If I do this again, I will work more closely with those students at first and offer extra help time to work on the corrections individually with me. We recently took another equation quiz, and overall their equation solving skills dramatically improved so I feel like they learned from this activity. I would love to do this again, but would like to know if there is a better way (that is less work for me). So, if you are doing something similar but better – please share! What did you like about grading your own test? that you could go back and see your mistakes and know where you need to improve. I got to see clear mistakes that i had and wall able to correct them. What i liked about grading my paper is that i got to learn from my mistakes and get better at what i got wrong because if we got the problem wrong when we are correcting it we are supposed write out and explain what we got wrong. That helps. “I liked it because you can defiantly see your mistakes. I like that i kinda fell better if i get a good grade and i grade it myself i do not know why though. I liked grading my own paper because we got to see what we got and how we were supposed to get it if we didn’t get a problem correct. I like to see what kinds of things that i messed up on. I liked being able to see what I messed up on. I looked at it more and got a good understanding of what I got wrong. It was easier to see what mistakes I did make and how to correct them. I thought it was a good way to understand the material better – reworking the problems. It was fun because you could really understand what you did wrong and understand what you needed to do to help fix it. I like that you can see your mistakes and understand completely what and why you got a problem incorrect. I liked it because i could redo what i was missing and look over my paper more. I like being able to see what I did wrong. Seeing my own mistakes helps me learn what to do a little better. If I just got everything right whats the point? You wouldn’t learn anything! I liked being able to correct my own mistakes. Interacting with what you did wrong helps you learn it for the next time. Usually you just see what was wrong and you go ok but you never really learn how to fix it unless you do it yourself. I liked getting an idea of what you did wrong when grading it and getting an idea what my grade will be ahead of time before the teacher grades it. What did you NOT like about grading your own test? knowing how many mistakes you got. seeing how many mistakes you made. What i did not like is that i felt bad when i got a answer wrong because of a silly mistake that i made. It takes some time to finish grading the paper. I did not like that i had to see my grade i think i got wait another day and get my real grade. I didn’t like grading my own paper because it was extra work when instead we could’ve been learning. it was hard and very confusing i didnt understand most of what i was supposed to do. It was easier when you just graded my tests. I don’t like grading my paper because it makes me really nervous. I wasn’t exactly sure how to grade it, and how many points to take off, but I got it eventually. I wasn’t always 100% how to rework them – even with the answer key. I really liked grading my own paper overall. I kind of like that moment when you get your paper back with a grade on it; it’s really exciting and sort of scary. Like a rollercoaster, a little? But a math rollercoaster? I don’t know, it’s just fun. I also thought it was a little harder because I had to find exactly where I got it wrong and felt like it was a little hard. What I didn’t like was how it can tempt you to break the honor code by correcting an answer that you got wrong just to boost your grade. The only thing i didn’t like about grading my own paper was that as i went through the problems it was more pressure because i did not want to have one wrong or correct one wrong. I did not like grading my own paper because I’d rather just get the teachers grade. I get a little aggravated when I’m not sure if this is the grade that I will really get when it is graded by the teacher.